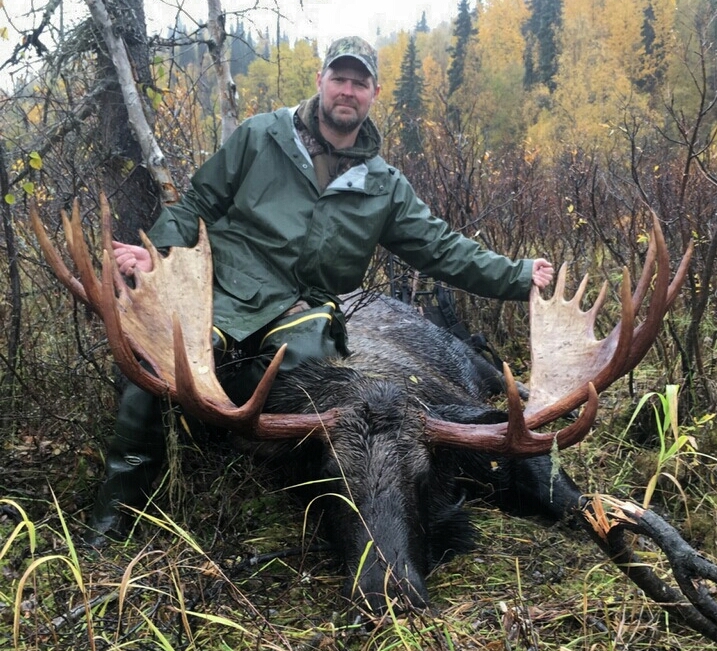 Ben Wiillis and his tremendous 225 green score bull making it a potential candidate for the all time B&C book. 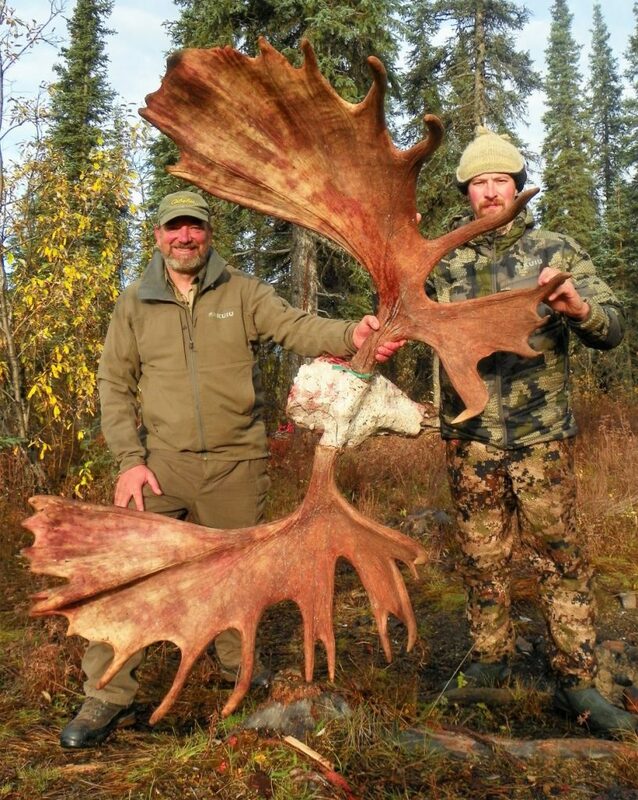 Ben Willis’ bull shown here with guides Steve Unfreid (l) and Jason Rickard (r). 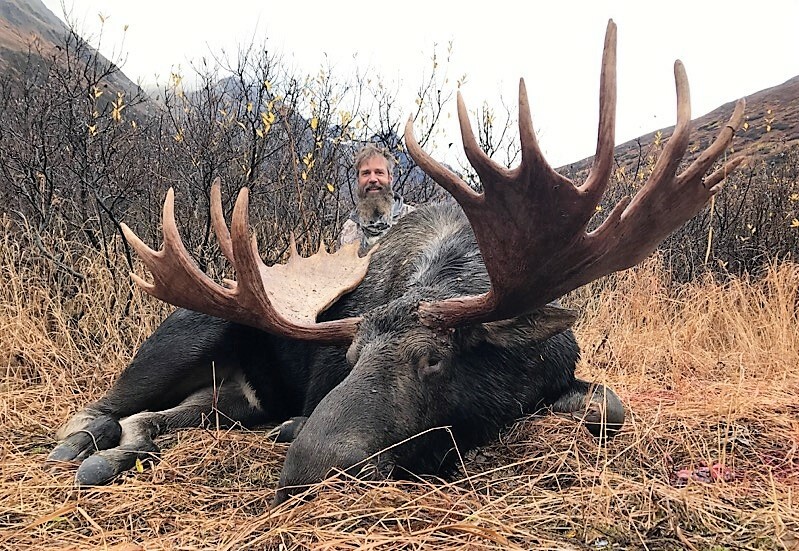 Kevin Mong and a tremendous, 65″ bull taken in 2017. 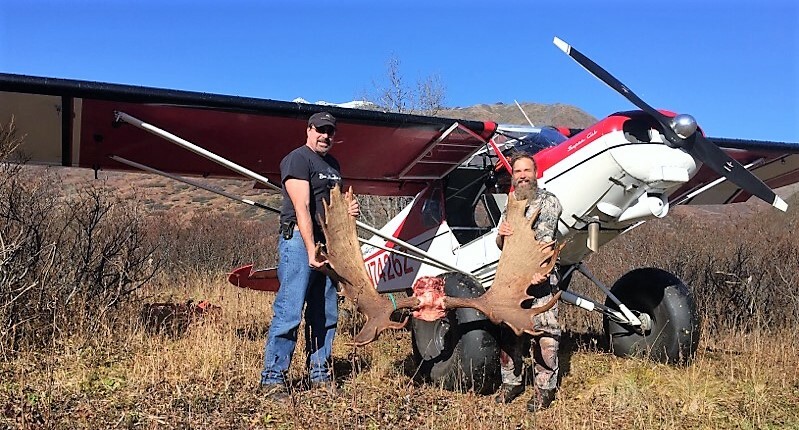 Joe Huston (left) our ace bush-pilot and Kevin (right) with his bull. 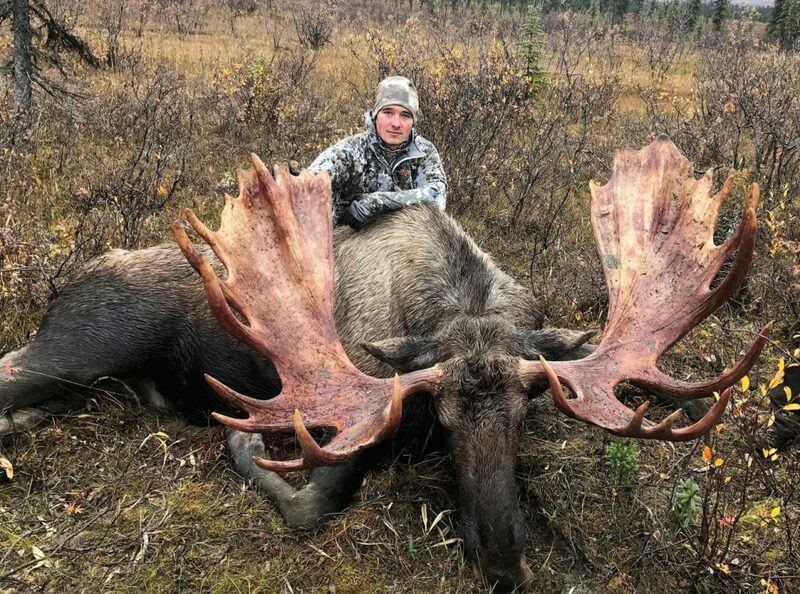 65″ bull taken by Jeremy Tobin. 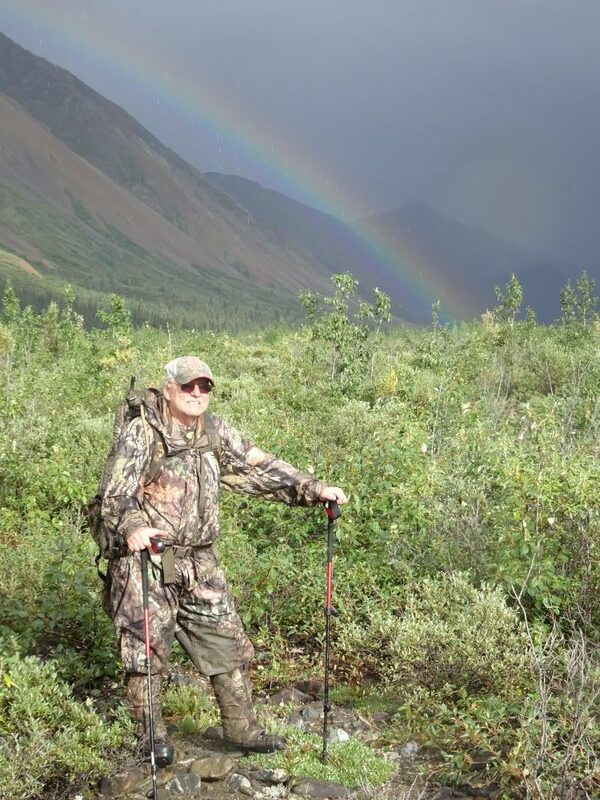 Jeremy was guided by Glen Elliot. 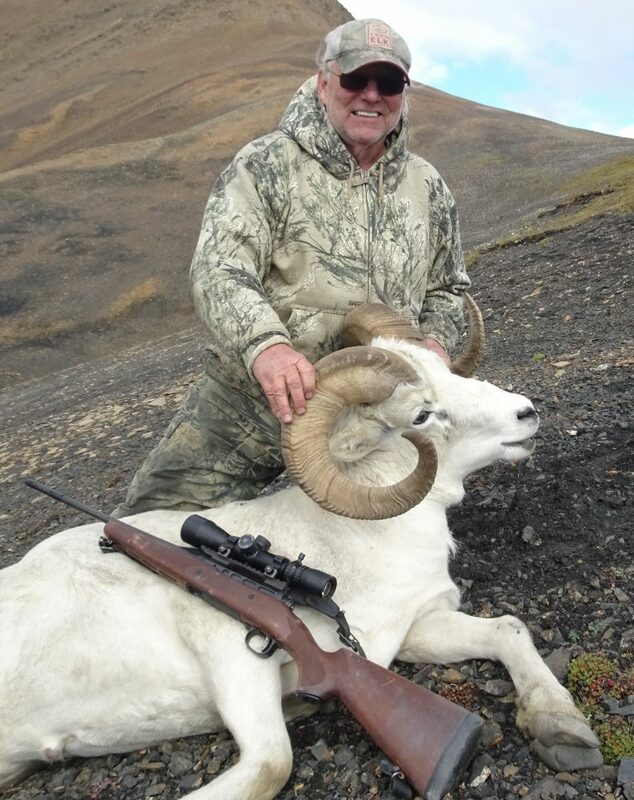 George Gerner and his 41″ ram taken in 2017. 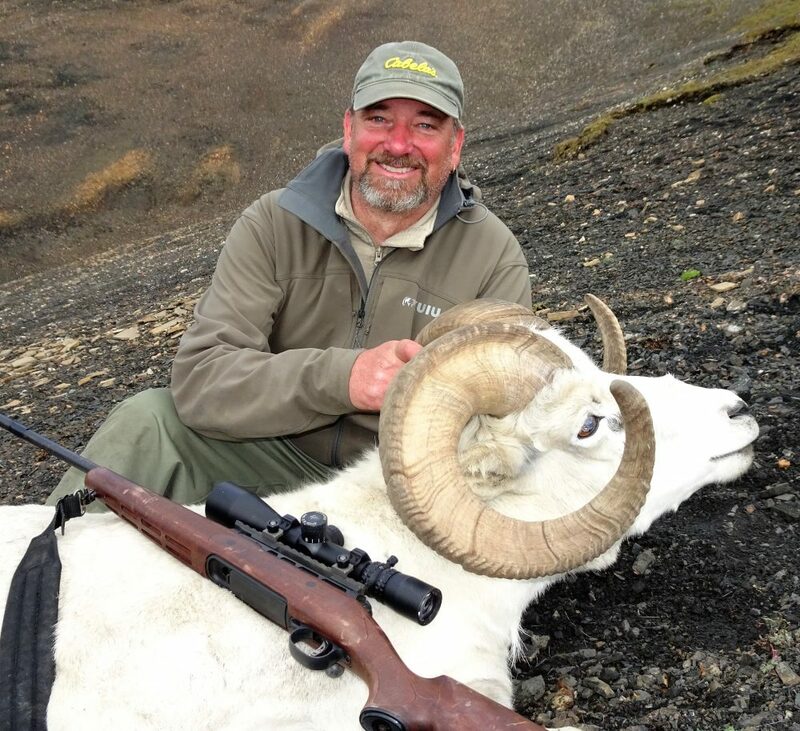 George’s ram will qualify for annual B&C awards. Nondi Meik (l) and guide Jason Rickard (r) with his interior grizzly taken during his sheep hunt. 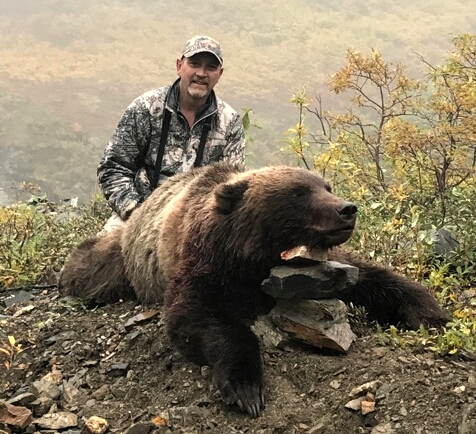 Here’s Nondi with his grizzly taken in conjunction with his sheep hunt in 2017. 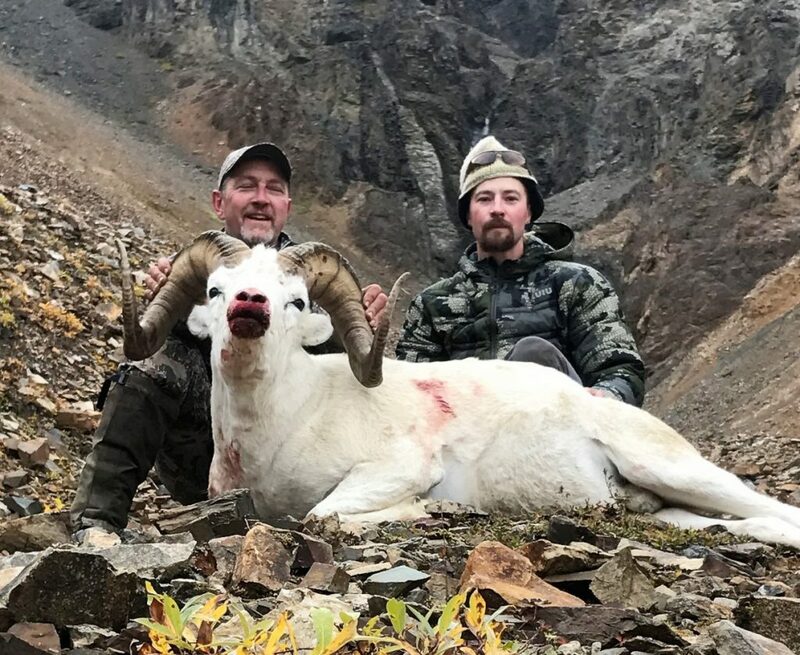 Nondi Meik with 38 6/8″ ram (14 5/8″ bases–green score 164) taken in 2017 with Guide Jason Rickard. 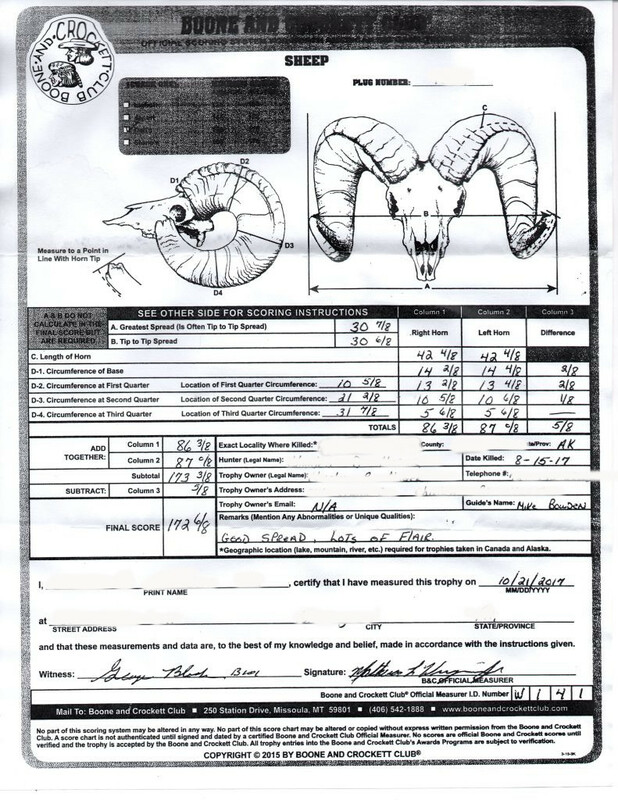 Nondi’s ram will qualify for annual B&C awards. Another shot of Nondi’s great ram. 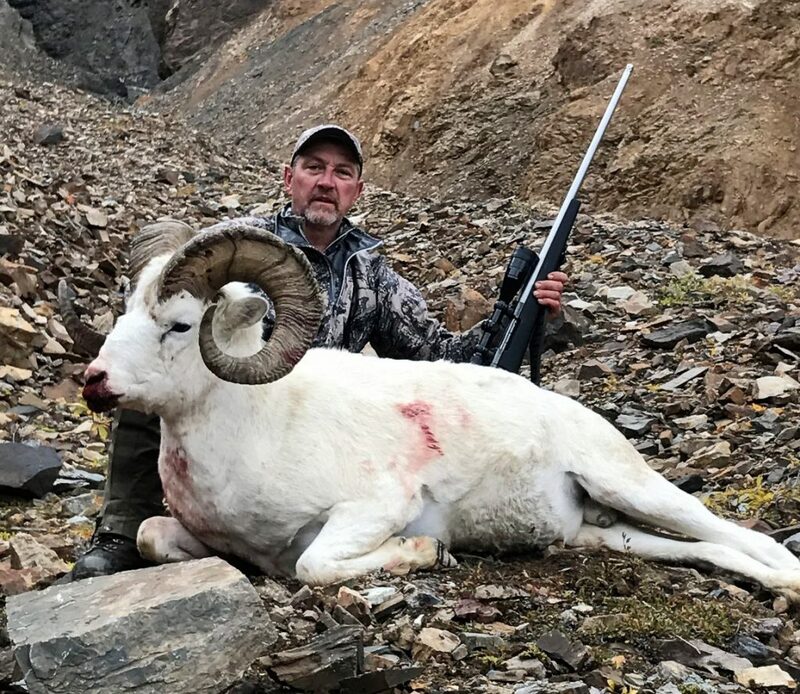 Steve Klinkhammer and his 2017 ram. 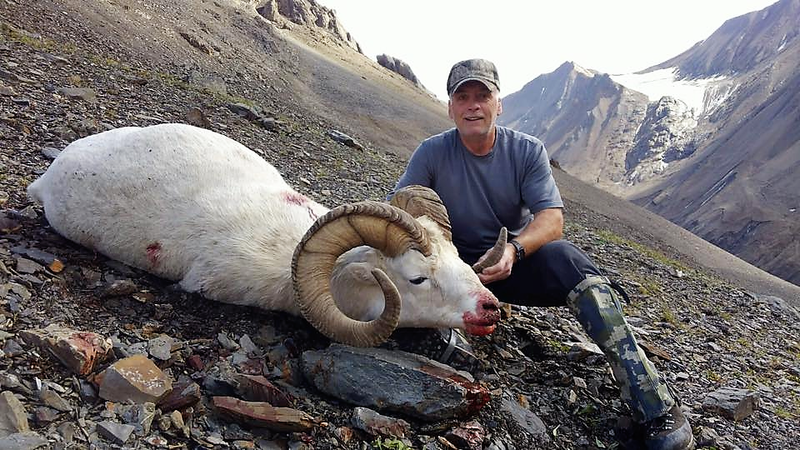 Steve Klinkhammer got his ram on his third try up the mountain. 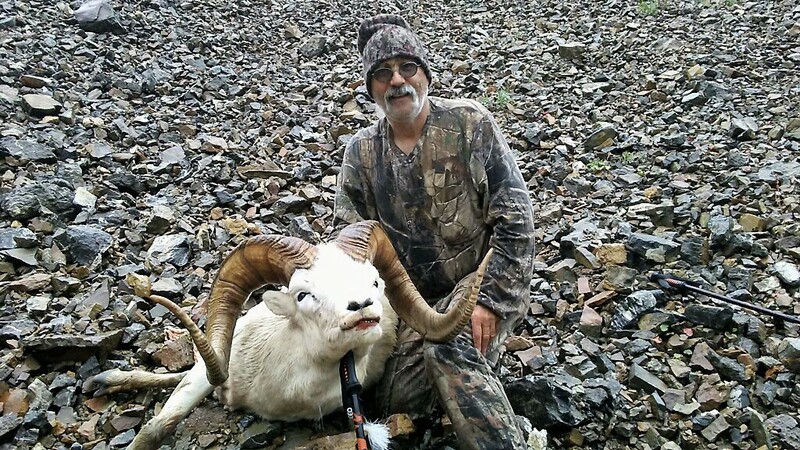 Steve was guided by Steve Unfreid (shown here with ram). 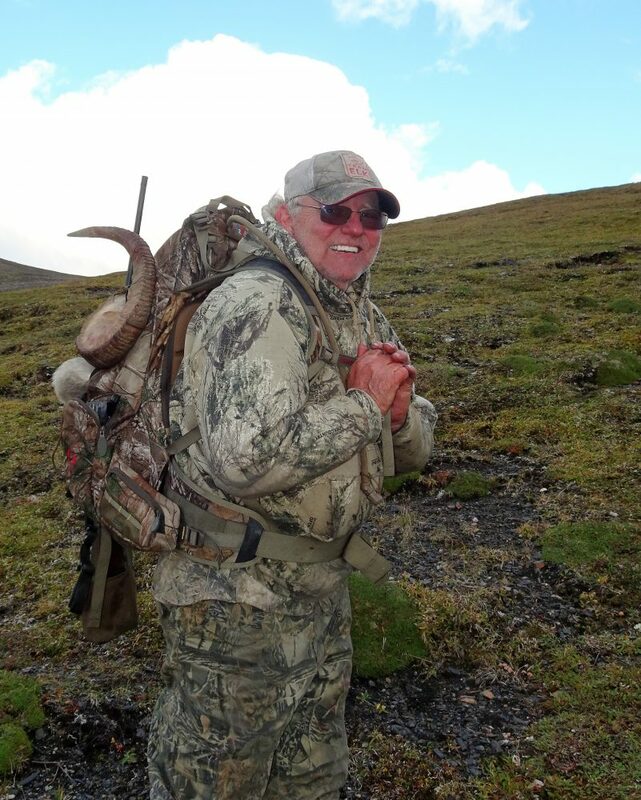 Loaded with hide and horn and headed off the mountain.